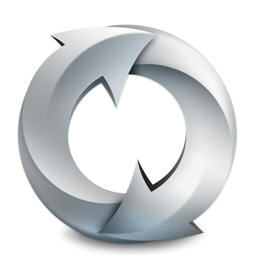 Software development is a continuous process. Howsoever care be taken at the time of release of a software, there are always chances that some bugs or security vulnerabilities remain hidden deep inside the code, which get unearthed after the use at different levels. Even if there are no bugs, malware developers are always on the look out of security holes and vulnerabilities in the popular software, so as to exploit them and infect or hack your system. That is why, allgood software vendors keep on releasing software patches and updates to plug these loopholes and vulnerabilities. It is extremely important on the part of the users to keep on updating their software with the latest software update. Some software automatically get notified as soon as a new software patch or update is available. But most of the others do not have such nechanisms, and as such, it is on the part of the user to be vigilant enough about the availability of the latest patch and update his software. Now, it is tedious process. Most users are not in a position to do that either because they do not have such time, or they do not know how to get the information about the availability of the latest software patch, or even if they know, they do not know where they can get the authentic patch and how to install it. In such a situation, Software Update Notifiers play their role. Software Update Notifiers are software, specially developed to keep note of all the software and applications present in your system and keep looking for the availability of the patest patch. As soon as some patch is available, these software immediately notify the user about their availability and also make available the exact link of the location, where you can download and install the patch. Super easy, and absolutely necessary. What are some of the Best Software Update Notifiers. We have reviewed some of the best ree Software Update Notifiers on this blog. We give a snapshot of them here. I have seen many computer users, who just hate any software update prompt on their computer. They just think that it is shear wastage of time and bandwidth to update their software. They think that software are updated just to add more features and functionality to the software. But it is not so. Apart from adding more features and functionalities, software updates also make them more secure, robust and compatible with other applications. They are absoltely necassary and the first thing you need to do. Remember, your PC Security is more important than saving a few moments here and there. Thanks Amal, for sharing the list here. There are many companies in the Chapel Hill, NC area that offer computer repair services like Virus Removal, Wired and Wireless Networking, Database Design, Computer Upgrades. you should make your choice based on recommendations from satisfied local customers. I know one site http://www.triangletechwhiz.com that offer that offer these services online..
“Remember, your PC Security is more important than saving a few moments here and there.” I now know how important these words are after a heavy data loss!. Thanks for this review by the way! After letting my testing computer sit without updates for about 6 months it finally got a Trojan infection from the internet. Just from one of my interns using it to surf the web to a phishing site. I believe one of the latest updates from Microsoft would have prevented it. It is very very important to keep windows updated! It is very important to have a Laptop or Computer System which run very smooth all the time you are working on it. While doing higher education students need to work on their Laptop or Computer for hours to look for relavant study materials, preparing for presentaion etc. while studying in Australia.